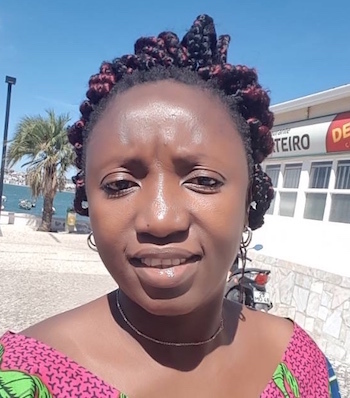 Summary: Justina Zainab Conteh leads an NGO that provides care and assistance to children—mostly girls—who are homeless because of, e.g., disease, sexual abuse, or abandonment. SGF provides these children with counseling, medical and legal assistance, education, and a safe place to live for a year, after which the children are reunited with their families or provided with foster families. Conteh is continually sexually harassed herself and has to fight traditional norms that oppress females. SGF staff search the streets for children (mostly girls) who are homeless—due to, e.g., disease, sexual abuse, or abandonment—and bring them to their center. There the children can live for up to a year. They are given clothes and medical care. They are fed well. They are introduced to healthy, “normal” everyday activities, such as singing, dancing, and playing football. They bond with one another. They learn to cook and clean. They attend a local school and receive tutoring. They are given legal assistance. They are encouraged to go to a church or a mosque. They are interviewed and counseled. After a year, they are either returned to their natural families or provided with foster families; the counseling and education continue. In short, they are protected and cared for. Since its inception in 2004, SGF has done this for more than 1,900 children. Conteh’s job is not easy. During the Ebola outbreak, Conteh managed an interim care center that was quarantined twice. A coworker contracted the disease and died. And there are man-made threats as well, threats that help her identify even more with the girls she protects: Men constantly proposition her, families harass her, and many traditional parts of Sierra Leonean society discourage education for girls. Sometimes the sexual bias merges the personal and business sides of her work.